Peyo, creator of The Smurfs, brings everybody's childhood fantasy to life in this charming new graphic novel series! Benny Breakiron is an honest, polite little boy with an en exceptional quality: he possesses superhuman strength, can leap over huge distances, and can run unbelievably fast. This little kid packs quite a punch, and he devotes his play time to stopping crime and injustice. In this first volume, a new taxi service has moved into Benny's town threatening to put Benny's friend, taxi driver Mr. Dussiflard, out of business. 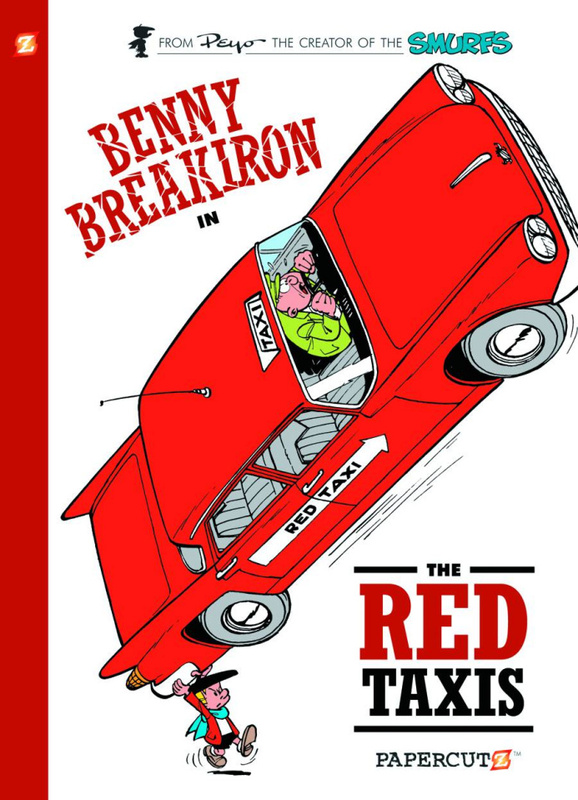 The more Benny learns about the Red Taxi Company, the more he realizes something isn't right. Who's behind this mysterious enterprise, and just what are they up to?